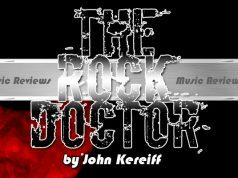 Music Reviews by the Rock Doctor - Feb 8th, 2019 - Gonzo Okanagan Online News, Music, Technology, Sports, Film, Arts & Entertainment, Culture, Wine & Dine... Life! A wonderful surprise from Weezer, a disc of cover songs released just a month ahead of their next record of original material, Weezer (The Black Album), due March 1st. 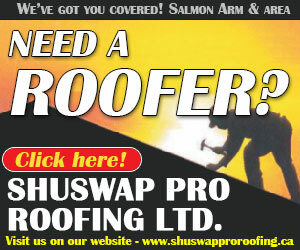 A harmless bit of fun, this is a must-have for fans. Throughout last summer’s tour Weezer began working cover songs into their sets, and the audience dug it. Their version of Toto’s Africa (included here) was a hit upon its release, so given that and the response to other covers at the shows, the band was inspired to put together a covers record. Hey- why not? I’ve always viewed covers records as lazy, but The Teal Album is different. It’s not a gap filler while Weezer tries to come up with another album, there’ll be an album of new stuff out within the month. So it’s appropriate to think of this as an appetizer before the main course, the band blowing off some steam and having fun, and they’re sharing the results with us. The songs are well played and arrangements mirror the originals. Teal feels casual, songs played for the enjoyment. The Teal Album is 10 songs, pop and rock classics, only one of which I’m not familiar with. Weezer doesn’t attempt to try and make these songs their own, offering instead faithful covers as a bar band might do them, staying true to what they find inspiring about the songs to begin with. 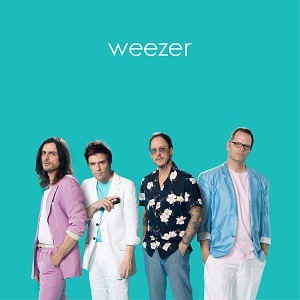 From Toto to The Turtles, Michael Jackson to Black Sabbath- if anything this disc offers a glimpse at the variety of music that inspires Weezer themselves. Important? Monumental? No. Fun? Worth a listen? Oh yeah. Kane Roberts was Alice Cooper’s guitarist for 80’s comeback records like Constrictor and Raise Your Fist & Yell, plus he’s a solo artist in his own right. The New Normal is Roberts’ 6th solo album, and the man still tears up the fret board. With the physique of Rambo and wielding a guitar that looks like a machine gun, Kane is often called ‘heavy metal’, but I don’t think that’s fair. 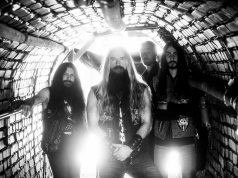 Yes he plays metal and does it quite well, but his talents as a player and singer are much broader. He’s landed a few Top Forty hits in his day and The New Normal also reveals a musician well versed in melodic rock song craft. TNN features many enjoyable moments of heaviosity, but I’d be more inclined to call this rock as opposed to metal. Some famous friends helped Roberts out in the studio on his new record; Alice Cooper, Babymetal drummer Aoyama Hideki, current Alice Cooper guitarist Nita Strauss, plus former Alice Cooper band mates Kip Winger and Ken Mary, plus Halestorm’s Lizzy, who co-wrote the Lion’s Share. Kane is an excellent singer, and as a guitarist he can be a thrilling player. Going for a balance of hard rock chops and emotionality, The New Normal is sort of Bon Jovi meets Nickelback, but better, and I’m enjoying it. Alice Cooper’s touring guitarist of the past 4 years put out her debut solo record in November, but I’m just getting to it now. Controlled Chaos sounds just like the title suggests it might; caged aggression and barely contained fury. 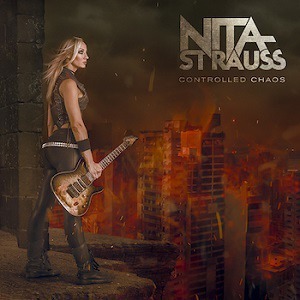 Controlled Chaos is an instrumental record, and Nita’s website lists just her on bass & guitars, plus Josh Villalta on drums, and Nita did the engineering and production too. Knowing Alice Cooper’s music through the years as well as I do, I can tell you that what you’ll hear on these 11 tracks is vastly different from that. Strauss can wail and she’s an incredible player- not just ‘for a girl’, but as a guitarist period. She obviously enjoys the heavy stuff and her enthusiasm for the guitar is pretty bloody obvious. So why don’t I like Controlled Chaos more? It starts with the drums. Never a fan of ‘blast beat’ drumming, I prefer stuff that grooves. Then there’s the production sound of the drums themselves; it sounds like somebody using wooden spoons to wail on Rubbermaid tubs. A heavier, dense, thunderous sound would have been more compatible, I think, with what Nita is laying down. Strauss is an exquisitely skilled player but, at times, she overplays- though not to the point of obnoxiousness like Malmsteen or Vinnie Vincent.. At this early juncture she lacks Satriani’s or Vai’s seasoning, but I have no doubt that she’s headed somewhere. To my ears Controlled Chaos is not a homerun, but she makes it to first base with room to spare. I look forward to watching Nita’s career develop and blossom from here. It’s a new album from this Serbian singer/ piano player- her 4th overall, and first for the legendary German blues label. Old school blues mixed with jazz, a dash of country with some rock & roll thrown in too; an ambitious mix to be sure, but she nails it. Growing up in Belgrade, Katarina raided her dad’s blues collection as a teenager, took her first steps on the Serbian blues circuit, and her talent won her a scholarship to the Berklee College of music in Boston. All the places she’s called home over the years- from Belgrade to Boston, Nashville to Texas- inform the music she makes. Roads That Cross is a lively mix of styles from slow blues to Latin and reggae grooves, tinged with notes of sadness. “I didn’t realize until after making the album, but most of these songs are about goodbyes” Katarina reflects. Ain’t that the blues? When it comes to blues I’m more of a guitar guy and while there’s some tasty fretwork here, Pejak’s piano playing is the driving force behind these tunes. Producer Mike Zito, the label’s in-house guy (like Duke Robillard for Stony Plain), made Roads well balanced, and he’s clearly enthusiastic about Katarina too. “She’ll make you think, she’ll make you cry” Mike notes. “By the end of this record, she’ll have you in the palm of her hand. For Katarina, this is only the beginning.” Listen and hear for yourself. A shaggy slice of rock & roll from a band that I first saw open for Black Sabbath on the “13” tour in Saskatoon. Feral Roots kind of reminds me of The Sheepdogs but with a harder edge. It’s their 7th release, if you count their e.p. 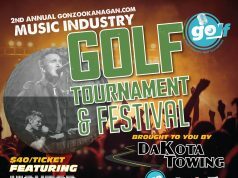 Rock & roll is alive and well! Rival Sons are Jay Buchanan on vocals, Scott Holiday on guitar, Dave Beste on bass and Mike Miley on drums… names any self respecting rock fan should probably get to know. 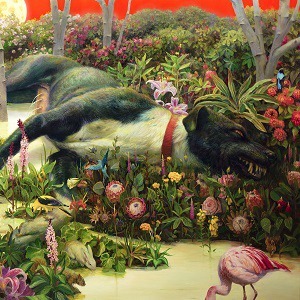 Hailing from Long Beach, California, Rival Sons recorded Feral Roots in Nashville and at Muscle Shoals. This is bluesy rock & roll that alternates between high energy riffs and sludgy rhythms for a variety of emotional tones. Lots of fuzz and distortion on the guitars here, an attempt I’m sure to connect with the vibe of classic bands like Zeppelin or Bad Company, something perhaps achieved more effectively by Greta Van Fleet but still a tasty blend here too. Feral Roots has a loose, live energy to it that’s easy to dig. I wonder if the bed tracks were recorded live in the studio- it sure feels that way. When it comes to rock & roll I’m not looking for perfection or precision, I want emotion and feel… between the band’s playing and Jay Buchanan’s impassioned vocals there’s plenty of that to spare. Feral Roots is a good, enjoyable album but it doesn’t thrill me, if you get the difference. Perhaps more time with this disc and exploring their back catalog will help improve my connection to it. In the meantime, if any of these songs were to come on my radio I would certainly reach over and turn it UP. Lee Harvey Osmond is an alter ego for Tom Wilson of Blackie & The Rodeo Kings, and this is his 4th album under that name. It centers around Wilson’s revelation that, at the age of 53, he discovered his parents were his adoptive parents- that he was not Irish by origin, but Mohawk. The resulting disc is a beautiful and soulful journey. As a fan of Blackie & The Rodeo Kings, I was confident that I’d find this interesting at the very least- I was not wrong. 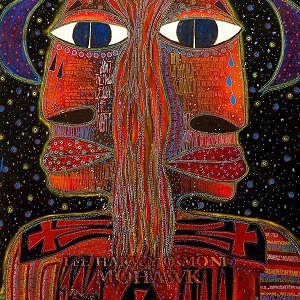 It was after the 3rd Lee Harvey Osmond record Beautiful Scars that Wilson discovered that his biological parents were Mohawk from the Kahnawake reserve just outside of Montreal. Tom’s life is an ongoing quest, so it’s only natural that this new information would be reflected in his music. He is still driven to ask questions, to seek meaning from the elusive mysteries hidden beneath the surface of everyday existence, and it’s this spirit that gives Mohawk its emotional presence. Producer Michael Timmins strikes just the right tone for these ‘acid folk’ tunes. I know most singers double track their vocals, but the way it’s done here is hypnotic; not unlike a JJ Cale record. Tom is joined in the studio include Ray Farrugia (percussion), Arron Goldstein (steel guitar), Jesse O’Brien (keyboards), Anna Reddick (bass), Darcy Hepner (sax), Paul Reddick (harmonica), and his son Thompson. There’s a sort of quietness to Mohawk, “a burning saunter” as Wilson calls it, that encourages you to listen more intently, not unlike some of Robbie Robertson’s stuff. Even if you travel a different path, this is a record that will have you thinking about your own journey too.